Loskeene is Lisa's ascended name. 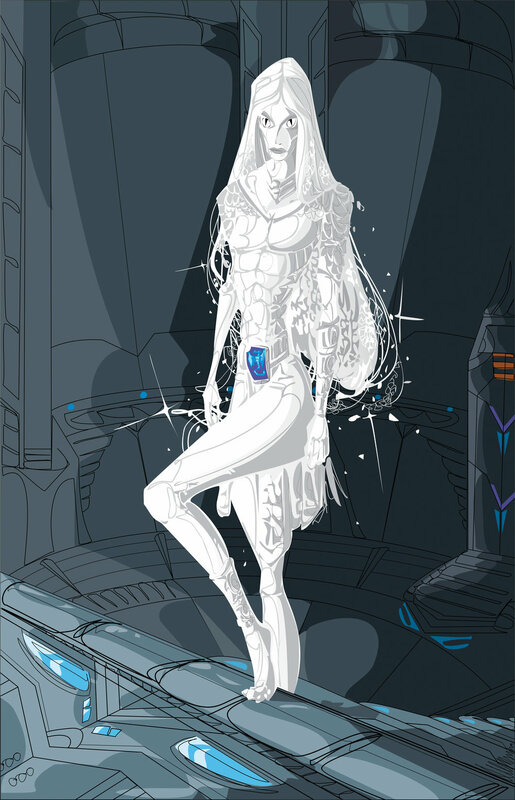 Tannann has reshaped her form to match her dragon avatar: the White Assassin. Emotionless, unable to speak, Loskeene channels her gifts through control, or psychokinesis, the same facility that she and her brother used to defeat the bizarre Fixture Levy. She has given up control to gain control, completely ignoring her brother, father and mother in pursuit of refining her gift. Unlike her family, however, she can never appear other than she is: she’s a freak: it’s what she wanted. Teach her well, Tannann, Het had said at Unison. Clearly, Tannann had done just that. This was not the daughter I knew.